When asked what is an engineer’s role, I had always struggled to provide a satisfying response. So, to find its answer, I became part of Texecom as a summer intern and got the opportunity to contribute to their work as an engineer. Texecom is a security sensors designer and manufacturer and has been in this industry for the past 20 years. I have always been fascinated by programming and controlling machines and this internship offered me something that aligned both with my interests and my degree (Computer Systems Engineering). My first day at work was a bit daunting, as I was a new face in the company, but the welcoming nature shown by Texecom members help me to settle down easily. 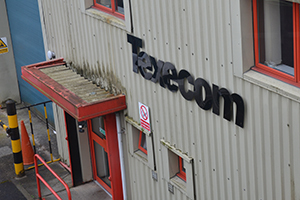 In the first few weeks, I focused on gathering knowledge about Texecom, to gain an insight into its operations. This involved meeting members like Engineering, and Marketing Managers to understand their roles and discuss Texecom’s vision. These meetings helped me understand the role of different departments and how these departments work together and contribute towards making any decision about Texecom’s future. The next thing was getting on with the challenges assigned to me. This was quite enthralling; as opposed to the norm ‘engineers only deal with technical challenges’, I was exposed to a combination of both technical and non-technical tasks. Also to explore and promote ‘Think of the bigger picture’ my manager, James Seel posed some questions as challenges in the task brief rather than providing a complete guide to the solution, thus encouraging creativity. 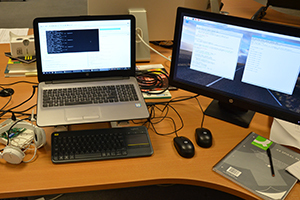 The first technical task was challenging as I had never experienced solving real-world problems. I was responsible for connecting a network of sensors (Contact, Motion and Gas Detector etc.) to a cloud server such that they could send their data wirelessly to the cloud. This information was then processed in the cloud and if any sensor got triggered, an alarm was activated wirelessly. I learned many skills and was also thrilled to know that this work will be used for a Hackathon being organised by Texecom, as part of Manchester Science Festival 2017. Diving into the non-technical tasks, I was responsible for performing market analysis to compare our technology with that of our competitors. This helped me to understand Texecom’s current position in this market and encouraged me to think of the possible steps required to rise to the top. Another non-technical task which made me nervous was cold calling companies. This involved picking up the phone and calling companies to discuss the possibility of a partnership. I learned a great deal of skills from this about human nature. I also designed some pitch documents about our technology, for distributing to the companies interested in it. Through this, I also learned that ‘It’s all about the fluff!! when presenting information to anyone. So, I think a very simple answer to question posed in the beginning is ‘Engineers are people who solve problems’. Managing all these tasks was possible because of the experience that I had received through SELA as it made me confident to work in the real world. The transferable skills I had gained through project Engineering 360, like teamwork, leadership, and project management helped me to take advantage of every opportunity. The flexibility and freedom offered to me to pursue my interests during this internship were the reasons because of which some of the above mentioned tasks came into being. Throughout these 2 months, I also realised the importance of balancing work and social life. With some sports sessions like bouldering and hiking after work, all were great stress busters. Through this internship, I have gained many new skills and learned quite a lot about businesses. I would like to thank Texecom, and especially my manager James Seel, for making this internship such a great experience! 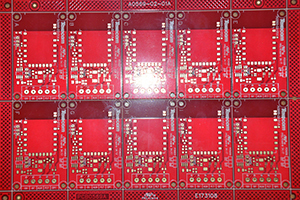 The second technical task involved redesigning an electronic module to reduce its size and enhance its capability. This was challenging as I had never experienced the electrical aspect of engineering. After spending some sessions with R&D team, the design was completed and verified. I was happy to have achieved 52% reduction in size. Seeing the manufactured product in my hand made my day.